"Suburbicon" is a peaceful, idyllic suburban community with affordable homes and manicured lawns... the perfect place to raise a family, and in the summer of 1959, the Lodge family is doing just that. 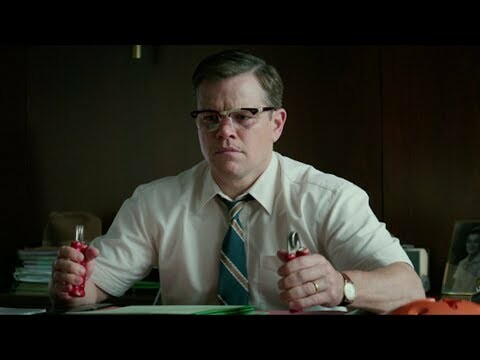 But the tranquil surface masks a disturbing reality, as husband and father Gardner Lodge (Matt Damon) must navigate the town's dark underbelly of betrayal, deceit, and violence. This is a tale of very flawed people making very bad choices. This is Suburbicon.